Photo 120. 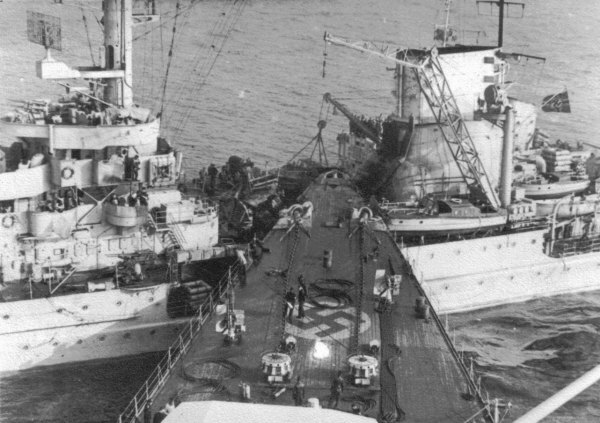 Prinz Eugen collision with Leipzig. Prinz Eugen Collision with Leipzig. At 2004 hours on 15 October 1944, as the Prinz Eugen returned to Gotenhafen from a naval support operation off Memel, the heavy cruiser accidentally rammed the light cruiser Leipzig amidships off the coast of Hela. It took fourteen hours before it was considered safe to separate both ships.